The National Park Service invites visitors to enjoy free events and programs on the Gettysburg battlefield, at the Museum and Visitor Center, and at the Eisenhower farm throughout 2017. Gettysburg National Military Park events include Civil War living history encampments, ranger-guided hikes and programs, family activities, and musical events. A short shuttle ride away from the Gettysburg Visitor Center is the Eisenhower National Historic Site, which offers events commemorating the life and times of President Eisenhower, including commemorations of D-day events, the Great War, and an extremely popular World War II weekend. SPEAK ON THE LEGACY OF MEMORIAL DAY and their work at Arlington, 6:30 p.m. – 8:00 p.m., free and open to the public, limited seating at Gettysburg National Military Park Museum & Visitor Center. For more information, call 717-338-1124 or go to www.nps.gov/gett . 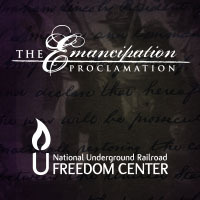 4:00 p.m. For more information, go to http://www.civilwardance.org . May 27-28 LIVING HISTORY AT GETTYSBURG NATIONAL MILITARY PARK. (5/28) 11:00 a.m. & 1:00 p.m. For more information, call 717-338-1124 or go to www.nps.gov/gett . 10:00 a.m. & Noon. For more information, call 717-338-1124 or go to www.nps.gov/gett . FEATURED AS PART OF GETTYSBURG’S MEMORIAL DAY PARADE. The parade will begin at 2 p.m. at Lefever Street in Gettysburg and head northeast to Middle Street; turn west on East Middle Street and south on Baltimore Street to the Gettysburg National Cemetery. For more information, contact www.nps.gov/eise . of the Civil War Dance Foundation, will offer dance demonstrations in the Group Lobby at the Gettysburg National Military Park Visitor Center at 1:00 p.m. and again at 3:00 p.m. Visitors will see the Ensemble perform some of the most common dances of the era and have a chance to join in and learn a dance from the Civil War. Civilian artifacts (jewelry, photography, etc.) will also be on display. 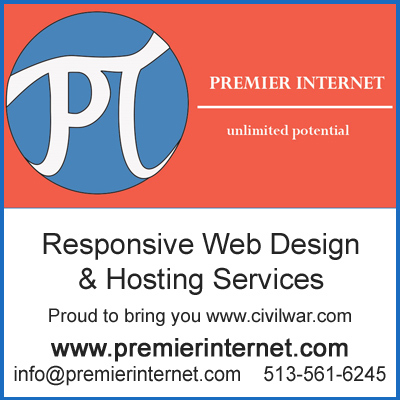 For more information, go to http://www.civilwardance.org . JAZZ BAND at the Lincoln statue in front of the Gettysburg National Military Park Museum and Visitor Center for a free performance. 2:00 p.m. - 3:00 p.m.
this month's Gettysburg National Military Park Artist-in-Residence Brian Emery. Inspired by the battlefield, Mr. Emery uses new technologies to tell the story of Gettysburg through three-dimensional scanning, photogrammetry, and cinematography. At the David Wills House from 5 p.m. to 8 p.m. For more information call 717-338-1124, or go to www.nps.gov/gett . NATIONAL HISTORIC SITE. A small encampment of WWII living historians portraying units who landed on the Normandy Beaches on D-Day will be set up at the site. Visitors are welcome to stroll through the camp and talk informally with the living historians from 9 a.m. to 4:30 p.m.
PAINTING at the Gettysburg National Military Park Museum and Visitor Center, featuring history of the genre of cycloramas and the history of the Battle of Gettysburg Cyclorama. Program begins in the Ford Motor Company Fund Education Center and lasts for about two hours. For information on times and tickets, go to www.gettysburgfoundation.org  or call the Reservations Department at 877-874-2478. June 3-4 Living History at Gettysburg National Military Park. (6/3) 10:00 a.m., Noon, 2:00 p.m. / Sunday (6/4) 10:00 & Noon. For more information, call 717-338-1124 or go to www.nps.gov/gett . 11:00 a.m., 1:00 p.m., 3:00 p.m. / Sunday (6/4) 11:00 a.m. & 1:00 p.m.
For more information, call 717-338-1124 or go to www.nps.gov/gett . 10:00 a.m. – 3:30 p.m. New daily and special programming, as well as living history encampments. The farm is only accessible by shuttle from the Gettysburg National Military Park Visitor Center. Tickets may be purchased on the day of your visit at the ticket counter inside the visitor center, online at www.gettysburgfoundation.org , or by calling 877-874-2478. AND EISENHOWER NATIONAL HISTORIC SITE BEGIN. Through August 13. For more information go to www.nps.gov/gett . June 11-12 Living History at Gettysburg National Military Park. U.S. Cavalry, Co. A. Programs at Pitzer Woods. Saturday (6/11): 11:00 a.m., 1:00 p.m., 3:00 p.m. / Sunday (6/12) 11:00 a.m. & 1:00 p.m. For more information, call 717-338-1124 or go to www.nps.gov/gett . 10:00 a.m., Noon, 2:00 p.m. / Sunday (6/12) 10:00 & Noon. For more information, call 717-338-1124 or go to www.nps.gov/gett . Blue and Gray Reunions, with Mr. Donald Steele. Programs at The Angle, Stop 15. Programs ongoing 10:00 a.m. – 4:00 p.m. Saturday (6/11) ONLY. Fridays, Saturdays, Sundays 10:00 a.m. – 3:30 p.m. through August. New daily and special programming, as well as living history encampments. The farm is only accessible by shuttle from the Gettysburg National Military Park Visitor Center. Tickets may be purchased on the day of your visit at the ticket counter inside the visitor center, online at www.gettysburgfoundation.org , or by calling 877-874-2478. June 17-18 Living History at Gettysburg National Military Park. 1:00 p.m., 3:00 p.m. For more information, call 717-338-1124 or go to www.nps.gov/gett . 10:00 a.m., Noon, 2:00 p.m. / Sunday (6/18) at 10:00 a.m. & Noon. For more information, call 717-338-1124 or go to www.nps.gov/gett . June 24-25 LIVING HISTORY AT GETTYSBURG NATIONAL MILITARY PARK. 10:00 a.m. & 1:00 p.m. For more information, call 717-338-1124 or go to www.nps.gov/gett . 717-338-1124 or go to www.nps.gov/gett . 11:00 a.m. & 2:00 p.m. / Sunday (6/25) at 11:00 a.m. For more information, call 717-338-1124 or go to www.nps.gov/gett . DEVELOPMENT. 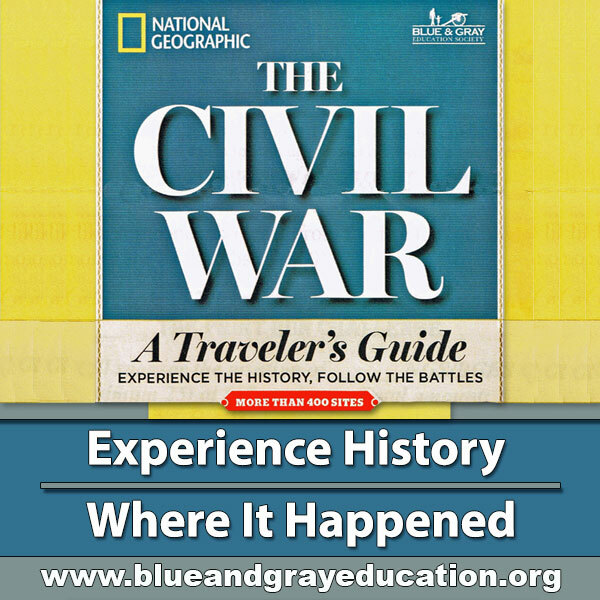 A unit focusing on the Civil War should be an integral part of Common Core or other document-based learning objectives. Teachers spend time with Civil War experts and fellow teachers to investigate compelling Civil War era documents and objects, create focus questions and reading strategies, learning objectives and assessments for students, and go on a mini field trip to apply the knowledge and skills gained. Register online at: www.nps.gov/gett . June 30 – July 2 CIVIL WAR FIELD HOSPITAL ON THE GEORGE SPANGLER FARM Fridays, Saturdays, Sundays 10:00 a.m. – 3:30 p.m. through August. The Mifflin Guard. Programs at the Pennsylvania Monument. Saturday (7/1) at 10:00 a.m., Noon, 2:00 p.m. / Sunday (7/2) at 10:00 a.m. & Noon. For more information, call 717-338-1124 or go to www.nps.gov/gett . 1:00 p.m. For more information, call 717-338-1124 or go to www.nps.gov/gett . and living historians and retrace portions of the route of retreat and pursuit taken by both armies following the battle of Gettysburg. For details go to www.nps.gov/gett . this month's Gettysburg National Military Park Artist-in-Residence and experience the artwork they have created, inspired by the Gettysburg battlefield. At the David Wills House from 5 p.m. to 8 p.m. For more information call 717-338-1124, or go to www.nps.gov/gett . FARM Fridays, Saturdays, Sundays 10:00 a.m. – 3:30 p.m. through August. New daily and special programming, as well as living history encampments. The farm is only accessible by shuttle from the Gettysburg National Military Park Visitor Center. Tickets may be purchased on the day of your visit at the ticket counter inside the visitor center, online at www.gettysburgfoundation.org , or by calling 877-874-2478. Events and programs including living history at Eisenhower National Historic Site. For information go to www.nps.gov/eise . 11:00 a.m., 1:00 p.m., 3:00 p.m. / Sunday (7/9) at 10:00 a.m. & Noon. July 15-16 LIVING HISTORY AT GETTYSBURG NATIONAL MILITARY PARK. 1st Rhode Island Light Artillery, Battery B. Programs at the Pennsylvania Monument. Saturday (7/15) at 11:00 a.m. & 1:00 p.m. For more information, call 717-338-1124 or go to www.nps.gov/gett . Gettysburg Gun Program at The Angle, Stop 15, Saturday (7/15) at 4:00 p.m. For more information, call 717-338-1124 or go to www.nps.gov/gett . 11:00 a.m. For more information, call 717-338-1124 or go to www.nps.gov/gett . 10th Virginia Infantry. The Valley Guards. Programs at Spangler Spring. Saturday (7/15) at 10:00 a.m., Noon, 2:00 p.m. / Sunday (7/16) at 10:00 a.m. & Noon. For more information, call 717-338-1124 or go to www.nps.gov/gett . July 22-23 LIVING HISTORY AT GETTYSBURG NATIONAL MILITARY PARK. 87th Pennsylvania Infantry. Programs at the Pennsylvania Monument. Saturday (7/22) at 10:00 a.m. & 1:00 p.m. / Sunday (7/23) at 10:00 a.m.
& 1:00 p.m. For more information, call 717-338-1124 or go to www.nps.gov/gett . 10th Virginia Sharpshooters, Southern Grays. Programs at Spangler Spring. Saturday (7/22) at 11:00 a.m./ Sunday (7/23) at 11:00 a.m. For more information, call 717-338-1124 or go to www.nps.gov/gett . 3rd Virginia Infantry. Programs at Pitzer Woods. Saturday (7/22) at Noon & 3:00 p.m. / Sunday (7/23) at Noon. For more information, call 717-338-1124 or go to www.nps.gov/gett . July 29-30 Living History at Gettysburg National Military Park. (7/29) at 11:00 a.m., 1:00 p.m., 3:00 p.m. / Sunday (7/30) at 11:00 a.m.
PARK MUSEUM AND VISITOR CENTER. Free activities and programs for the whole family. For more information go to www.gettysburgfoundation.org . August 5-6 LIVING HISTORY AT GETTYSBURG NATIONAL MILITARY PARK. Society of Civil War Surgeons. Programs ongoing at the Pennsylvania Monument, Saturday (8/5) 9:00 a.m. – 5:00 p.m. / Sunday (8/6) 9:00 a.m. – 2:00 p.m. For more information, call 717-338-1124 or go to www.nps.gov/gett . 11:00 a.m., 1:00 p.m., 3:00 p.m. / Sunday (8/6) at 11:00 a.m. & 1:00 p.m. For more information, call 717-338-1124 or go to www.nps.gov/gett . The sounds of authentic 19th-century American music will fill the air in Gettysburg for the 21st Annual Gettysburg Music Muster. The free events features ballads, folk songs, popular songs of the day, field music and marches, along with dances popular during the Civil War era. The music will begin on Friday afternoon, August 11, under the tent on the front lawn of the Gettysburg National Military Park Visitor Center. #12 on the park map. For more details go to www.nps.gov/gett . August 12-13 LIVING HISTORY AT GETTYSBURG NATIONAL MILITARY PARK. (8/12) at 10:00 a.m., Noon, 2:00 p.m. / Sunday (8/13) at 10:00 a.m. and Noon. For more information, call 717-338-1124 or go to www.nps.gov/gett . (8/12) at 11:00 a.m., 1:00 p.m., 3:00 p.m. / Sunday (8/13) at 11:00 a.m. PROGRAM SEASON continues through Nov. 19. For more information go to www.nps.gov/gett . Foundation and Eisenhower National Historic Site will host “Eat Like Ike,” an evening Farm to Table event at the Eisenhower Farm featuring Chef Josh Fidler (Fidler & Co., Gettysburg) and Chef Andrew Little (Josephine and Prima, Nashville, Tennessee). Enjoy the historic farm and landscape at sunset, cocktail party, five-course dinner, wine pairings, and exclusive tours in this intimate dinner inspired by Dwight and Maime Eisenhower’s cookbook. 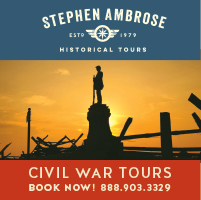 Tickets will be available June 1 through the Gettysburg Foundation at www.gettysburgfoundation.org  or call 877-874-2478. Seating is limited. PAINTING at the Gettysburg National Military Park Museum and Visitor Center, featuring history of the genre of cycloramas and in particular of the Battle of Gettysburg Cyclorama. Program begins in the Ford Motor Company Fund Education Center and lasts for about two hours. For information on times and tickets, go to www.gettysburgfoundation.org  or call the Reservations Department at 877-874-2478. August 19-20 Living History at Gettysburg National Military Park. 10:00 a.m., Noon, 2:00 p.m. / Sunday (8/20) at 10:00 a.m. and Noon. For more information, call 717-338-1124 or go to www.nps.gov/gett . 11:00 a.m., 1:00 p.m., 3:00 p.m. / Sunday (8/20) at 11:00 a.m. & 1:00 p.m. For more information, call 717-338-1124 or go to www.nps.gov/gett . August 26-27 Living History at Gettysburg National Military Park. 13th New Jersey Infantry, (2ND FLORIDA). Programs at Pitzer Woods. Saturday (8/26) at 10:00 a.m., Noon, 2:00 p.m. / Sunday (8/27) at 10:00 a.m. and Noon. For more information, call 717-338-1124 or go to www.nps.gov/gett . 11:00 a.m., 1:00 p.m., 3:00 p.m. / Sunday (8/27) at 11:00 a.m. & 1:00 p.m. For more information, call 717-338-1124 or go to www.nps.gov/gett . this month's Gettysburg National Military Park Artist-in-Residence and experience the artwork they have created, inspired by the Gettysburg battlefield. At the Gettysburg Railroad Station from 5 p.m. to 8 p.m.
Light refreshments. For more information call 717-338-1124, or go to www.nps.gov/gett . Sept. 2-3 LIVING HISTORY AT GETTYSBURG NATIONAL MILITARY PARK. (9/3) at 11:00 a.m. & 1:00 p.m. For more information, call 717-338-1124 or go to www.nps.gov/gett . 10:00 a.m., Noon, 2:00 p.m. / Sunday (9/3) at 10:00 a.m., Noon, 2:00 p.m. (no firing). For more information, call 717-338-1124 or go to www.nps.gov/gett . Sept. 9-10 LIVING HISTORY AT GETTYSBURG NATIONAL MILITARY PARK. SITE. More than 400 reenactors set up an encampment with Allied soldiers, a German camp, World War II jeeps and trucks, and a USO Dance. For more information call 717-338-9114 or visit www.nps.gov/eise . Sept. 16-17 LIVING HISTORY AT GETTYSBURG NATIONAL MILITARY PARK. 1st North Carolina Artillery. Programs at Pitzer Woods. Saturday (9/16) at 11:00 a.m., 1:00 p.m., 3:00 p.m./ Sunday (9/17) at 11:00 a.m. & 1:00 p.m. For more information, call 717-338-1124 or go to www.nps.gov/gett . Sept. 23-24 Living History at Gettysburg National Military Park. 3rd U.S. Regular Infantry. Programs at the Pennsylvania Monument Saturday (9/23) at 10:00 a.m., Noon, 2:00 p.m. / Sunday (9/24) at 10:00 a.m. & Noon. For more information, call 717-338-1124 or go to www.nps.gov/gett . 11:00 a.m., 1:00 p.m., 3:00 p.m. / Sunday (10/1) at 11:00 a.m. & 1:00 p.m. For more information, call 717-338-1124 or go to www.nps.gov/gett . Grand Army Republic (G.A.R.) Reunion. Programs at Spangler Spring. month's Gettysburg National Military Park Artist-in-Residence and experience the artwork they have created, inspired by the Gettysburg battlefield. At the David Wills House from 5 p.m. to 8 p.m. For more information call 717-338-1124, or go to www.nps.gov/gett . October 7-8 LIVING HISTORY AT GETTYSBURG NATIONAL MILITARY PARK. The Hudson Valley New York Regiment. 150th & 124th New York Infantries. Programs at the Pennsylvania Monument Saturday (10/7) at 10:00 a.m., Noon, 2:00 p.m. / Sunday (10/8) at 10:00 a.m. & Noon. For more information, call 717-338-1124 or go to www.nps.gov/gett . (10/7) at 11:00 a.m., 1:00 p.m., 3:00 p.m. / Sunday (10/8) at 11:00 a.m.
October 14-15 LIVING HISTORY AT GETTYSBURG NATIONAL MILITARY PARK. October 21-22 LIVING HISTORY AT GETTYSBURG NATIONAL MILITARY PARK. Richmond-Fayette Artillery, South Mt. Unit, Maryland State Parks. 3:00 p.m. / Sunday (10/22) at 11:00 a.m. & 1:00 p.m. For more information, call 717-338-1124 or go to www.nps.gov/gett . October 28-29 LIVING HISTORY AT GETTYSBURG NATIONAL MILITARY PARK. The Squabbler’s Mess, Infantry. Programs at the Pennsylvania Monument. at the Gettysburg National Military Park Museum and Visitor Center. For information go to: www.gettysburgfoundation.org . parade of Civil War living history groups held in conjunction with the Gettysburg Address anniversary. Sponsored by the Sons of Union Veterans of the Civil War. For information go to www.suvcw.org . GETTYSBURG RAILROAD STATION from 6 to 8 p.m. Special interpretive programs will coincide with the period President Lincoln occupied the two structures during his visit to Gettysburg to dedicate the Gettysburg National Cemetery. For more information go to www.gettysburgfoundation.org . National Cemetery, Gettysburg National Military Park. Luminary candles will be placed on each Civil War grave as a testament to the sacrifices during the Battle of Gettysburg. Sponsored by the Gettysburg Foundation. For information go to www.gettysburgfoundation.org . keynote speaker commemorating the anniversary of the Gettysburg Address at the Gettysburg National Cemetery. Sponsored by the Lincoln Fellowship of Pennsylvania, Gettysburg National Military Park, the Gettysburg Foundation and Gettysburg College. For information call go to www.lincolnfellowship.org . – Volunteers from the Sgt. Mac Foundation and the National Wreath Project will place wreaths on veterans’ graves. Wreaths will be placed Dec. 1 at Soldiers’ National Cemetery beginning at 1 p.m. and will remain throughout the holiday season. The foundation was established in memory of Gettysburg native Marine Sgt. Eric Mac, who died in the line of duty. For more details, go to www.sgtmac.org/ . Mamie Eisenhower’s holiday decorations in their home near Gettysburg. Historic nativity scenes from the Eisenhower White House will be on display in the Gettysburg National Military Park Museum and Visitor Center lobby. For more information go to www.nps.gov/eise . Destination Gettysburg - call 800-337-5015 or visit http://www.destinationgettysburg.com  for additional community events, attractions and accommodations.